Adrenaline junkies will have the opportunity to take part in the one of a kind downhill race – but they’ll have to move quickly as only 300 places are available. The race, which takes place on Wednesday 13th March, begins with competitors making a Le-Mans style mass sprint to grab their skis and snowboards, before clipping in for a top-to-bottom downwards dash. Among those taking part will be one of Britain’s top freeskiers Paddy Graham, who will put personal pride at stake as he races against 300 competitors. The Red Bull athlete said: “Personally, I’ve never prepared for any kind of race as a freestyle skier or had to work on a sprinting technique, but that’s just one of the things that makes the Red Bull Homerun stand out, being my first! “I know I’ll have 299 other people trying to beat me, so I’ll be doing everything possible to make sure I’m the quickest out of the blocks come race day. The event is open to all intermediate skiers and snowboarders over the age of 16. The fastest skiers and snowboarders across the line, both male and female, will be crowned winners. Shortly after the event, all competitors will enjoy an unbeatable après-ski party at the bottom of the mountain. Free coach transport from Glasgow and Edinburgh will be provided for any competitors travelling to the event from Scotland’s two biggest cities. 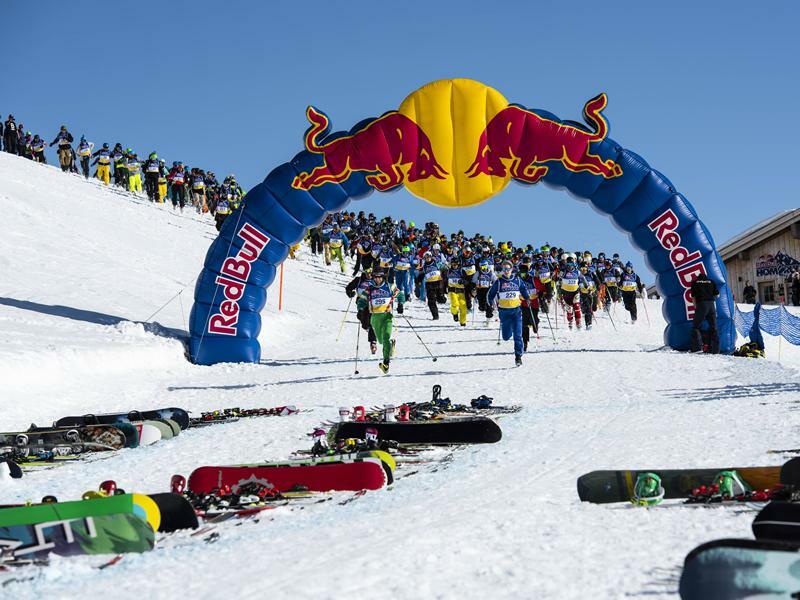 Red Bull Homerun will take place on Wednesday 13th March at Glencoe Mountain Resort with the race set to get under way at 3pm. To take part, visit www.redbull.co.uk/homerun.